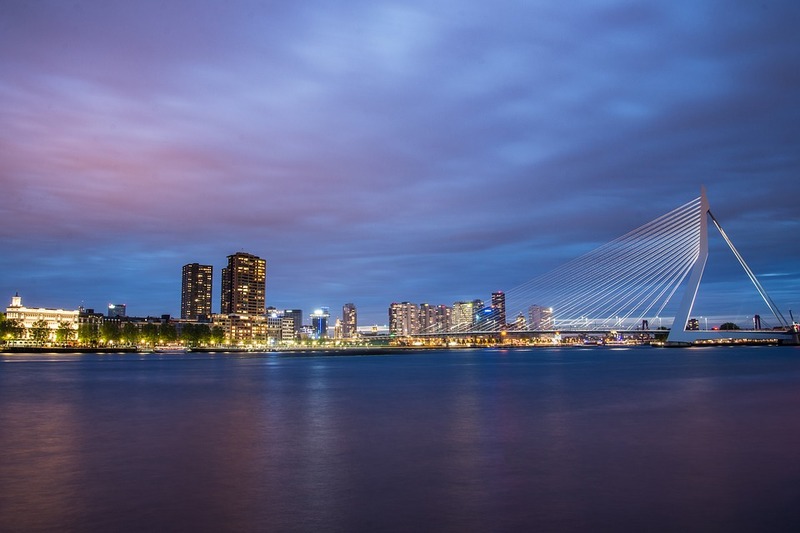 Home Culture Holidays King’s Day in Rotterdam: What events are happening in 2019? So maybe you’re planning on heading to the city of cool this King’s Day. But what is there to do? Don’t worry, rest assured that there is plenty going on. King’s Day festivities throughout the country range from flea markets, to street parties, to festivals, to boating. There is something for everyone (especially if you like getting merry). Here is what’s going down on King’s Day in Rotterdam. King’s day doesn’t start on King’s day…ooohhh no. For some of us, King’s day will begin the night before. One of the main events in Rotterdam on King’s night is TIKTAK King’s Night. It’s mainly for all you folks who like Dutch house music. The line up is acts such as Lil Kleine, Jonna Fraser, Josylvio, and Poke. It’s held in the popular music venue Maassilo in Maashaven (it’s a pretty cool ‘factory’ venue actually). If this isn’t your thing, then if you go to the centre of Rotterdam, especially Witte de Withstraat, then there will be plenty of bars and clubs open for you to do a bit of ‘pre-drinking’ before the big day. Looking to get yourself a bargain or for somewhere to take your children? Then there is no shortage of flea markets in Rotterdam. You can rest assured that most places you go will at least have someone trying to sell off their stuff. But we’ll give you some ideas all the same. At Deliplein there is a ‘Royal Roller-disco’, which has a roller-disco, flea market and other activities for all the family. At Liskwartier there is ‘Liskids‘, which is an area full of flea markets (good ones too), food, live music and activities for kids (such as face painting). 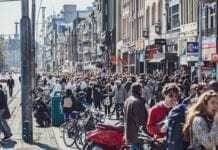 For other large flea markets head to Hoogstraat, Coolsingel, Blaak or Hofplein! Rotterdam has many different festival-type events on King’s Day. Rotterdamfestivals.nl put together a map of all of these festivities. For more info on them all, you can visit it here. 5. Kingsland festival – If you like house, techno or hardstyle, then this is a festival for you. Location: Amsterdam, Groningen, Den Bosch, Twente, Rotterdam. Have fun and enjoy King’s day! Proost! 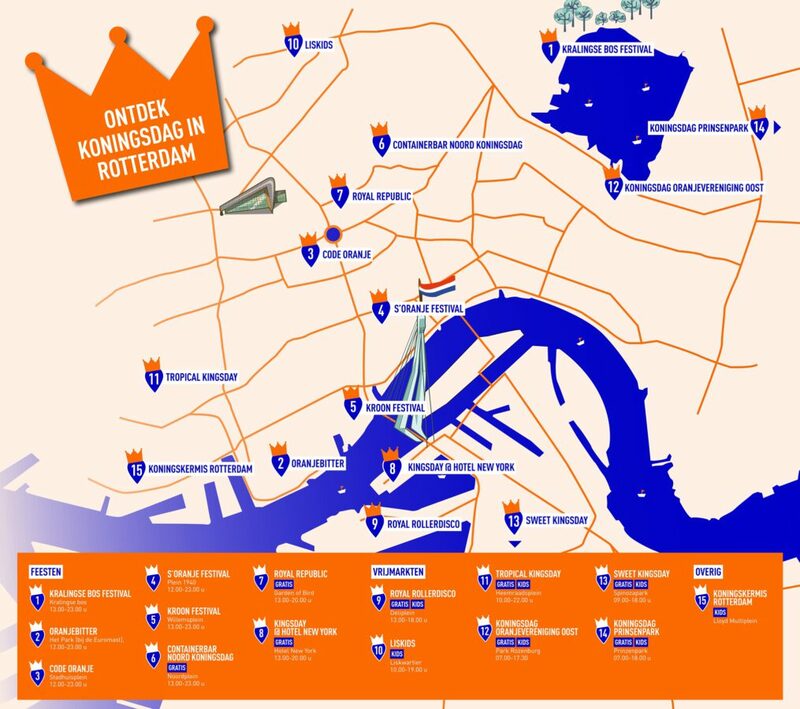 Looking for more cities to explore on King’s day? We’ve got that covered! So there you have it… what are you going to be doing on King’s day in Rotterdam? Let us know in the comments! And have an amazing King’s day! Next articleKing’s Day in The Hague: What events are happening in 2019? Thanks ffor sharing your thoughts about spa Northumberland.